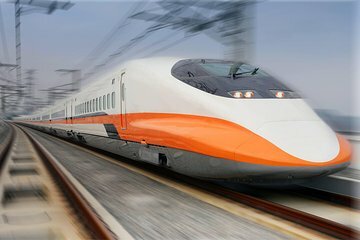 Taiwan’s high-speed trains are the fastest way to explore the country, reaching speeds of up to 300 km/h (186 mph). This three-day rail pass offers great value, with unlimited train transport between 10 major cities. Perhaps, enjoy sightseeing in Taipei, visit Sun Moon Lake in Taichung, explore the temples and night markets of Kaohsiung, then admire the Rainbow Village of Taichung. Excellent value if you intend to travel for multiple legs. Downside is you have to carry your passport with you at all times, and you have to get ticket at the counter, which is a pain when the line is long ( particularly if you are rushing). If you're going to Taiwan and attend to go to different cities there, get this unlimited bullet train for 3 days to ride the rail system. The cost of this pass for three days is about the same cost as a one round-trip ticket from Taipei to Tainan.